The Federal Housing Administration has flexible qualifying standards for borrowers but stringent requirements for the properties that secure mortgages it insures. FHA, an agency within the U.S. Department of Housing and Urban Development, insures home loans, protecting lenders against losses if home owners default. Because defective properties pose a higher risk of default -- as borrowers are more likely to let go of a home in poor condition -- FHA requires an inspection of all homes. 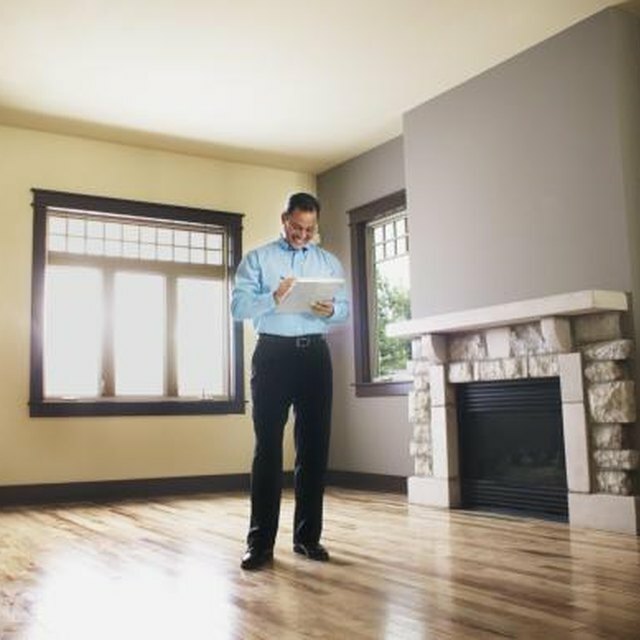 FHA-approved appraisers analyze the home to determine whether it meets FHA guidelines. The FHA inspector will observe the property for visible deficiencies that affect the health or safety of occupants or the continued marketability of the property, according to HUD Handbook 4150.1. The inspector's appraisal report also provides an estimated market value based upon comparable properties and sales activity in the area. The appraiser's market value is an opinion subject to amendment by the reviewer -- either from HUD or the lender -- if sufficient evidence supports a higher or lower value. FHA determines whether they will insure the loan -- and the maximum amount to insure -- based on the appraiser's conclusions. The appraiser must analyze whether residential property meets basic evaluation principles set forth in HUD Handbook 4150.1 titled "Valuation Analysis for Home Mortgage Insurance." They are the principles of supply and demand, change, competition, conformity, increasing and decreasing returns and contribution and substitution. Appraisers look for the "highest and best use" for the property. They must determine whether the property's estimated market price increases as a result of improvements made to the property because those improvements prove useful and desirable to potential buyers. If a home is over-improved or under-improved, the net return on the changes made does not justify the costs of the alterations. Both over- and under-improvement fail to develop the potential of the site; thus, a property with such features fails FHA's "highest and best use" standard and is generally ineligible for insurance. An appraiser must denote observable defects that affect health and safety and request their repair or replacement. Components that will complete their useful life within two years or that show signs of malfunction must also be fixed before FHA can insure the loan and the transaction can close, as the deferred maintenance of such items may negatively impact the structure and its value. For instance, an appraiser may prepare an "As-Is" appraisal that notes various deficiencies, and it is up to the lender to determine if they merit immediate repair or may continue as-is. For instance, according to the Coester Appraisal Group, a home with signs of lead-based paint, a leaky or worn roof or foundation damage will likely require repairs before FHA approves it. Appraisers look out for the benefit of HUD, not for the public -- that is, the buyer, according to the HUD Handbook. Neither HUD, FHA nor the lender makes any warranties as to the value or condition of the house; therefore, the borrower must determine that the price of the property is reasonable and that its condition is acceptable, advises the handbook. Borrowers are responsible for obtaining a physical inspection of the home from a licensed professional inspector or contractor for their own benefit.